I believe the light and truth of Christ shines through all darkness, all people, everywhere…there is NO PLACE it does not shine. If you have come to believe the Good News of Grace that Jesus came to give, is your heart still on fire? Are you still excited about the deeper and wider love of God? Going through the Easter Story is certainly and great way to be REMINDED of the Amazing Love of the Holy Trinity towards ALL humanity!! We’ve decided to stay in Mexico. Hope you’re all well. Ok, not really but thank you everyone for your support for us to be here. God is at work. Yesterday morning we set out towards the El Limon, in the State of Nayarit. Today was the quietest it’s been in the van for five days. You might think, ah yes, the fatigue is setting in. Well, it may be, but that’s not why. Gerardo told us his story of coming to faith. Which can be summarized by a lot of “long story short” (It wasn’t short but it WAS PHENOMENAL!) and he got the girl. (Insert an eruption of cheers & clapping) Yesterday I said that Gerardo’s rapping increased my respect for him but that’s nothing compared to how I feel about him after hearing his story. Gerardo has such a heart for the people of Mexico. I’m thankful we could share this experience with him. Also, the drive yesterday was OH MY STARS. Can’t describe it. Check out this picture. We passed so many trucks today like this. Me: I never have to wonder when I’ll get my next Diet Coke. It’s just there. Mike: It’s like Gods grace. It’s just there. How will we describe this town? It is hard to describe the amount of good news we are experiencing on this incredible trip! Each day seems to just get better and better! The team is really becoming comfortable with each other and sharing their observations each day as to what they are seeing and learning. So far we have been very busy travelling, preparing for ‘teaching meetings’ where the team shares ‘from the heart’ a short 5-10 min description of what God seems to be putting in their hearts, Story book time, (reading a kids story to the children, only to find the adults like it more than the kids), singing as a group, and teaching the profound love and Grace of Christ to the group we are visiting. The van rides are crazy, and very enjoyable with healthy bantering, silly songs, worship songs ….all sung together with really cool harmonies!! The personalities of EACH person are being realized and their TRUE identity and character seems to be coming out more and more…..which is a beautiful thing to witness! To say one day is better than the other is unfair as EACH DAY has a profound impact on each of us in a unique way. I will try to have a better summary when the trip is over, as we are finding it difficult to update each day. It is so surprising how tiring each day is, and how little time we have to ‘summarize’ the day’s events! Each person is keeping a personal journal to remember what amazing thing/s God has shown them that day, or what event or image stood out from all the others. Today’s picture is of ONE of the twelve homes that were painted in the ‘village’ we have been looking forward to visit. Another highlight of the day was Gerardo Vasquez sharing his story of how he came to believe the joyful good news of Jesus. It was a LONG story, and yet the ‘short version’. it was the most silent the time in the van and EACH ONE OF US listened intently to every detail of Gerardo’s deeply impacting story, one we are sure to never forget, WE LOVE YOU AND DEEPLY RESPECT YOU GERARDO! (Special Guest Blog by Linda Lanesmith) Today what stands out? These youth that we’re traveling with are basically THE BEST. Day 4 and we have yet to hear them complain. They have been squished in the back of the van for hours with very little space. Thrown into things they weren’t expecting. Asked to push out of their comfort zone by sharing their hearts with people they don’t even know, try new foods etc. Not. One. Complaint. One of the youth asked Gerardo, “why are people so glad we have come?” Speaking what we are all thinking. Because we feel like we’re the ones who are blessed by this experience. Thank you to Sergio, his family and the church in Celaya for having us. We did not want to leave! It’s been a joy to listen to the youth and their silly banter, loud singing and attempts at Spanish(which in all honesty, they’re picking it up faster than the adults!) So often we give teenagers a bad rap. Us adults have been known to roll our eyes as we talk about the challenges of teenagers. As we’ve listened to the kids share their heart and struggles, I am reminded all they have to navigate through ‘these days’. So much hard stuff. These kids need to know adults are on their side. We’ve got their backs. These are some good, good kids. You must know, every day here there’s a surprise. Some unexpected fantastic thing happens, or several actually. I have so much admiration for our host, Gerardo. He has selflessly given of himself this week to drive us around for hours and hours(with a noisy bunch of kids! ), watch out for our well being, and keep us safe. I didn’t know I could admire him more, until we discovered HE CAN RAP. Like a boss! He broke into a rap solo in the middle of a worship song during church this morning. Loved it and him. You’re so great Gerardo! Thanks for all you’ve done to make this trip happen. It’s such a pleasure to spend time with you. DAY ONE – travel update! (*Special guest blog from Linda Lanesmith) Yesterday’s highlights brought to you by ‘jugo verte’ (green juice), Papa John’s Pizza and grace home church of AWESOME. After such a long day of travel yesterday (7am-10pm), we were thankful for a lovely hotel to stay in, Holiday Inn Centro, Guadalajara. By now, everyone has heard Pastor Mike rave about the green juice he loves to drink in Mexico. The consensus at breakfast this morning was, most of us have jumped on the ‘jugo verte’ bandwagon. It is seriously yum! Made with celery, pineapple juice, orange juice and cactus! If you can’t really imagine how a 4 hour ride goes, in a 2003 Chevy Express, packed with 12 HUGE suitcases, 7 carry-ons, 5 teenagers, Pastor Mike, Gerardo (our awesome host) and myself, (Linda) here’s how it went down. On the drive to Celaya “Hey, let’s practice some worship songs in the van!” So we did. As we were trying out some harmonies, we discovered that Gerardo can sing, AND SO CAN PASTOR MIKE! There were some sweet sounds coming from that Chevy. Gerardo let us know that the plan was to do some music in the service on Sunday. At one of the washroom stops along the highway, we discovered a ‘Papa John’s Pizza’ place. Beautiful sounds of worship quickly changed to loud camp songs, radio and TV jingles, silly songs with Larry, musicals, etc. The girls made sure we covered all genres…LOUDLY! We quickly decided we should stop trying to translate English songs into Spanish after butchering Justin Beiber’s “Is it too late now to say lo Siento.” It is important note here, that Jonathan at some point inserted his ear plugs during this loud medley. This evening Mike was scheduled to preach, and some of us shared our stories at a grace home church. I’m sure the kids must have wondered where exactly we were going, as we walked down a dimly lit alley into someone’s home. We were greeted warmly and welcomed into their home. As we sat together, we heard a story of a husband and wife whose son was kidnapped two years ago and senselessly killed. They shared how the pain of losing their child hasn’t left them, but they have found hope in Christ through the tragic loss of their son. It was a big surprise when Gerardo called me (Linda) up to lead a worship song…….and then another one. Remember how we were practicing to do a song on Sunday? #Flexicoinmexico However, singing a song together in Spanish and English at the same time, with this group, was wonderful. Mike also shared more of his own journey of understanding God’s Love and God’s acceptance of him. Watching Mike preach from his heart and Gerardo translate for him with such passion was great to see. They are like a well oiled machine! It was a blessed day, what will tomorrow bring? It is with great joy and excitement I get to announce that all the funds have been raised for the Mexico Missions trip!! I can’t thank everyone enough for their generous support. We are leaving first thing in the morning, Thursday March 10th and returning on the 17th. If you’d like to see what’s happening or has happened, please visit me on Facebook (Michael Zenker, or Grace Walk Canada) or you can follow my blog at https://mikezenker.wordpress.com/ . We’ll be posting pictures and updates along the way (pending Wi-Fi). I’d like to invite all of you reading this to pray for us on our trip. Pray for the impact the entire adventure will have on each person going and on each person that we’ll encounter! Pray for our host and guide, Gerardo Vazquez (Director of Grace Walk Latin America), he has done all the ground work and planning to keep us safe and organized. 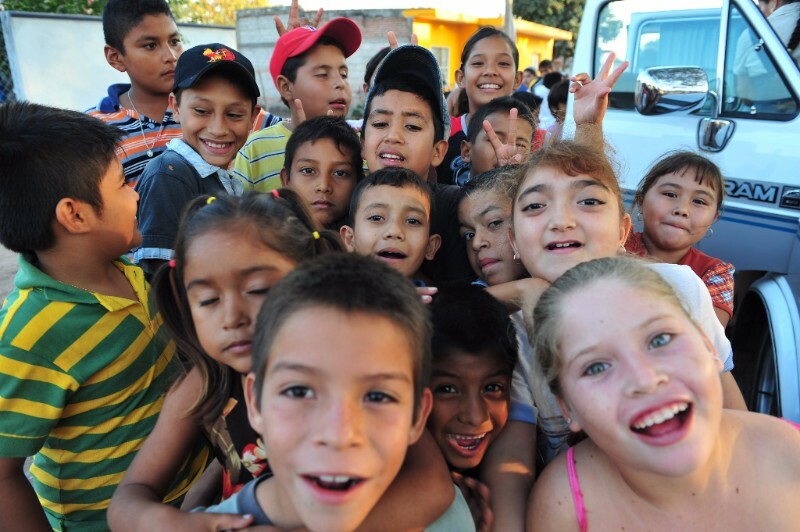 then driving 4 hours east to Celaya Guanajuato, where we’ll be meeting a Church connected to Grace Walk and share stories, bring some gifts for the children and explore the city. Painting the fronts of twelve homes (they cannot afford paint, and yet they love colour) (**we are planning on investing back into this little town and hiring the locals to do the painting, so we can do more ‘relational’ time with the children, teens and community). Health supplies (shampoos, toothpaste, toothbrushes, hand sanitizer, etc.) the town has ONE home that has an indoor working bathroom, otherwise the rest of the town utilizes community out-houses with running water. We’ll be exploring the deeper needs of the places we visit so that we can return with a better understanding of how we can partner with these towns, bringing practical help, but also the profound message of Grace and Love! Thank you again, I’m looking forward to sharing updates as the trip progresses! !